This means that the viscosity of a highly viscous fluid, for example, Fuel oil and mobile oil, is determined using Redwood Viscometer No.2. No.1 is used for low viscous oils, for example, Kerosine oil. Diameter 1.62 mm orifice is used in No.1 and diameter 3.8 mm orifice is used in No.2. 0.002 x Time - 1.8 / Time in strokes. Related posts: What is Viscosity? 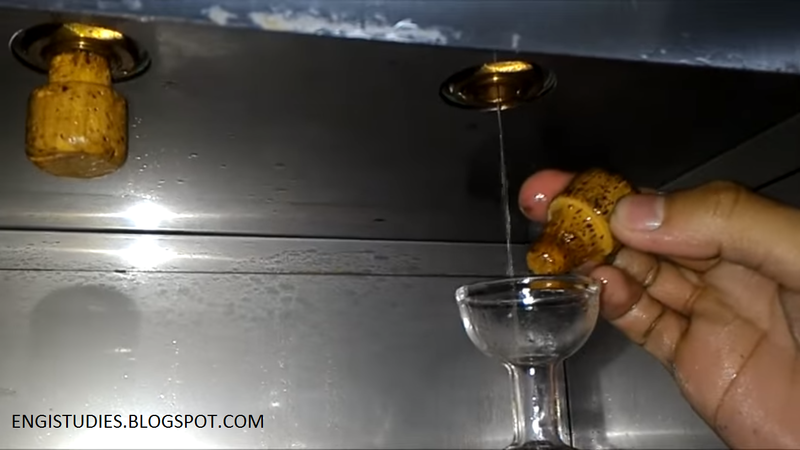 Neatly clean the oil cup. Keep the orifice close with the ball valve. Fill the oil cup with oil to the required oil level. Heat the water bath to heat water filled in it. Lift the ball valve after getting the required temperature. Use a thermometer for this purpose. Note down the temperature. Let the oil flow through the orifice and collect 50ml of oil in the flask. Note the time taken in seconds. For this use a stop-watch. This time is called redwood seconds. Repeat the above procedure at different temperatures and note down the time. Should read: What do you mean by "Drop Forged"? 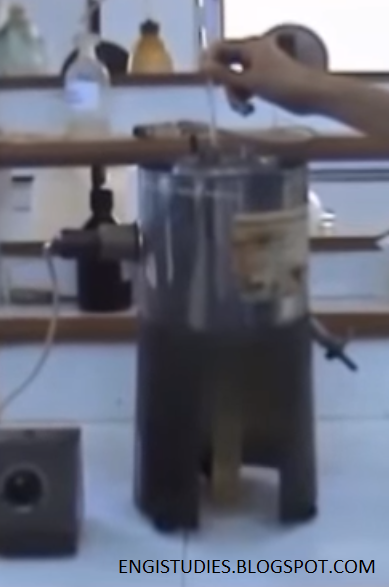 The image below gives the idea of how viscometer basically looks. What is the Difference between Redwood and Saybolt Viscometer? In this experiment, time is recorded in seconds that is required to pass 60ml of oil to pass through a standard orifice. In this experiment, time is recorded in seconds that is required to pass 50ml of oil to pass through a standard orifice. The stopper is removed from the bottom of the tube for the liquid to flow.